If you have just adopted a puppy, you are likely seeing some of the crazy antics that these fuzzy little animals can get into when your back is turned. While it might be cute to see your pup chewing on shoes, or peeing on your partner’s side of the bed, these bad habits certainly aren’t going to be cute when he is a fully grown dog and is misbehaving more and more. As your dog ages and his antics get worse and worse, you might find that you will get a little discouraged that you will never be able to train him to be a well behaved dog. But, all is not lost! You can have the obedient, ideal pet you always wanted by simply enrolling them in specialized puppy training courses. What are Puppy Training Courses? Puppy training courses are specifically designed classes for young puppies to help teach them obedience and proper behavior in certain settings. These courses are typically taught by professionals who have years of experience in training dogs of all breeds and ages. Not just anyone can teach a training course for dogs, as explained by the Animal Humane Society. For the most part puppy classes can be started young, when the dog is a few months old, so that bad behaviors can be stopped early on. However, part of the success of your dog is due in part to the trainer that you work with. According to CesarsWay.com, a website dedicated to the teachings of the famous dog whisperer, any dog can be trained when they have a qualified trainer to guide them. So, no matter how rambunctious or terrible your little pup may be, there is always hope that they can be trained into a great dog. What is the Role of the Owner in Training? Not only is it the job of a dog owner to find a qualified trainer to help teach their dog, but they also have to take a more active role in the actual training. If you think that having someone train your puppy means that you sit back and get to enjoy the benefits of a newly trained pup, you’d be wrong! That is not the way that successful puppy training works. Owner participation and understanding of the training methods is necessary to the continued success of the dog, as explained in Be a Responsible Dog Owner. Not to mention, when an owner is taught how to ‘communicate’ with their dog they will need to take these lessons and practice them away from the training course so that they can be instilled in their dog. 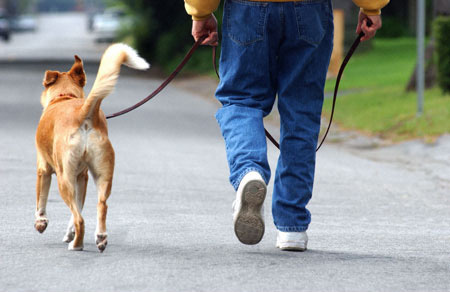 You want your dog to behave well with you, not just with the dog trainer. If you feel like you are in a hopeless state with a puppy that is going to become a misbehaving dog, you don’t simply have to deal with it. Sign up for puppy training San Diego courses today and start participating in them as soon as you can. You and your dog will not only build a stronger relationship, but you will be proud to show off your well behaved new best friend. Previous story What Are the Top 3 Mobility Cars to Buy?